Roy West Graphics was established in 2005 and since that time has grown to become an Authorised Reseller for digital print finishing equipment, representing the creasing and folding products from Morgana Systems. The owner, Roy West, started his printing career with a printing machining apprenticeship at Watmoughs Ltd in Yorkshire, England. This valuable introduction to the print industry lead to many international printing industry roles based in the UK, Europe, Southern Africa and then Australia. In 1979, Roy joined Heidelberg Australia as a demonstrator, moving to sales three years later. 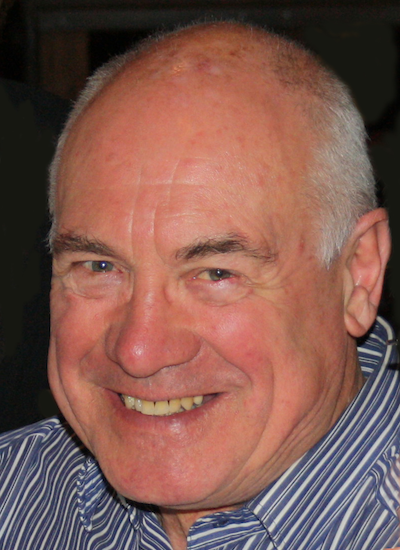 Roy has since provided advice and guidance in all aspects of printing to owners and operators in the printing industry. Roy West Graphics was established to cater for the growing need for digital print finishing equipment. Roy West Graphics is a Sydney based Authorised Reseller for Ferrostaal Australia Pty Ltd. Roy is authorised to supply products manufactured by Morgana Systems. While it is impossible for one organisation to be all things to all people, we do know printing and in particular, the many ways to get the best from your bindery. We specialise in Digital Print Finishing and we make sure you get the right advice to get the most for your business and for your clients. Whether digital or offset printing, we provide personalised advice to ensure you get the best finish for your printed output. We also know that there are many ways to improve the efficiency and profitability of your printing operation - most often achieved in the bindery department. Finishing is critical to the success of your printed materials. With the right finishing equipment you can be assured that your print jobs not only boast exceptional print quality, but will exhibit a fabulous finish that will impress even the fussiest clients. In recent years, suppliers of finishing equipment have had to meet the challenge of rapidly developing digital print technologies. Morgana, a company with a 25–year history in innovation has met the challenge with the introduction of products specifically designed to complement the various digital print technologies. Customers benefit from Roy’s hands on experience gained in the printing industry and with his personal and friendly approach. We are trained and authorised to resell Morgana products and services in Australia.